Using a store-bought stuffing mix, I added chicken and vegetables to make a fully-rounded meal for backpacking. Coconut milk powder and dried red curry spices make it possible to have Thai food in the backcountry. An Italian-style pasta dish is enhanced with sun-dried tomatoes and pine nuts. Good enough to eat at home! The level of preparation required to be safe on a wilderness hike varies based on location, weather and type of outing, but here are the essential items that all hikers should have while hiking or backpacking. Use dehydrated Thai Jasmine rice and a good quality curry powder to make this Asian-style dish. 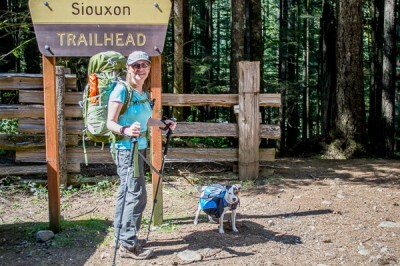 How I converted from being a day hiker and car camper to first time backpacker. The basis for the Leave No Trace principle is to leave nature in the same or better condition than you found it. This is what I take on a typical day hike in transitional weather… usually spring and fall.